9780756409708 | Daw Books, February 2, 2016, cover price $26.00 | About this edition: Hugo winner Jim C.
9780756409715 | Daw Books, February 7, 2017, cover price $7.99 | About this edition: Hugo winner Jim C.
9780544784697 | Clarion Books, January 10, 2017, cover price $16.99 | About this edition: A distinctive palette and a large cast of adorable rabbits adorn a lively story told in very few words. 9780765320810 | Tor Books, November 3, 2015, cover price $26.99 | About this edition: Air and Darkness, an intriguing and fantastic adventure, is both an independent novel and the gripping conclusion of the Books of the Elements, a four-volume set of fantasies set in Carce, an analog of ancient Rome by David Drake. 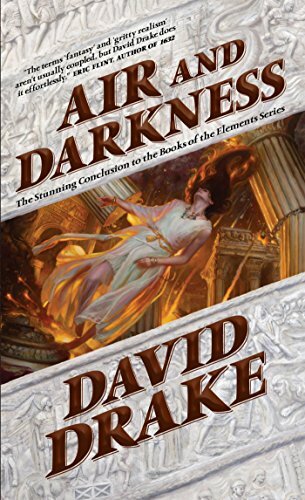 9780765360489 | Tor Fantasy, October 4, 2016, cover price $8.99 | About this edition: Air and Darkness is David Drake's gripping conclusion to the Books of the Elements, a four-volume set of fantasies set in Carce, an analog of ancient Rome. 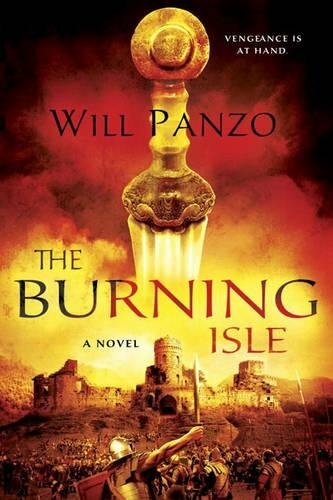 9781101988107 | Ace Books, November 1, 2016, cover price $16.00 | About this edition: A powerful and gripping debut grimdark fantasy novel, set in a world of criminals, pirates, assassins, and magic. 9780800726454 | Fleming H Revell Co, September 13, 2016, cover price $14.99 | About this edition: "A thrill ride into the stark territory between grace and the letter of the law. 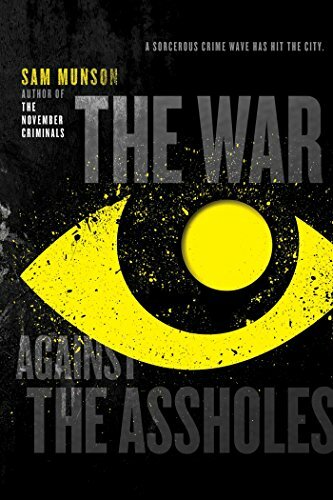 9780544527942 | Houghton Mifflin, September 15, 2015, cover price $25.00 | About this edition: One of Entertainment Weekly's 10 Great Fall Thrillers"Clever, immensely likeable. 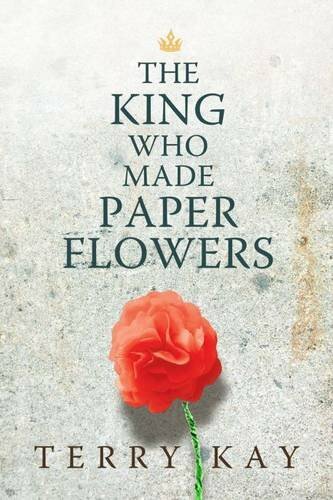 9781848669857 | Gardners Books, November 6, 2014, cover price $29.25 | About this edition: âCaptivating. 9780544811874 | Mariner Books, September 6, 2016, cover price $14.95 | About this edition: âCaptivating. 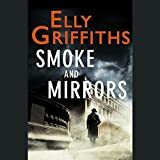 9781504640275 | Unabridged edition (Blackstone Audio Inc, September 15, 2015), cover price $29.95 | About this edition: In the first installment of a compelling new series by Elly Griffiths, a band of magicians who served together in World War II track a killer who's performing their deadly tricks. 9781504640268 | Mp3 una edition (Blackstone Audio Inc, September 15, 2015), cover price $29.95 | About this edition: Brighton, 1950. 9781628997682 | Large print edition (Center Point Pub, November 1, 2015), cover price $34.95 | About this edition: In the first installment of a compelling new series by Elly Griffiths, a band of magicians who served together in World War II track a killer who s performing their deadly tricks. 9780374300753 | Farrar Straus & Giroux, July 14, 2015, cover price $17.99 | About this edition: * WINNER of the Young Adult section of the New Zealand Book Children's Awards * Shortlisted for the NSW Premier's Literary Awards* A Junior Library Guild SelectionFifteen year old Willem lives in hiding in a small Belgian village on the edge of the great Sonian Forest. 9781250079930 | Square Fish, July 12, 2016, cover price $9.99 | About this edition: * WINNER of the Young Adult section of the New Zealand Book Children's Awards * Shortlisted for the NSW Premier's Literary Awards* A Junior Library Guild SelectionFifteen year old Willem lives in hiding in a small Belgian village on the edge of the great Sonian Forest. 9780373710508, titled "A Lasting Proposal" | Harlequin Books, April 1, 2002, cover price $4.99 | also contains A Lasting Proposal | About this edition: He made her an offer she couldn't refuse -- bud did she ever try! Let the battle for souls begin in Dead Man's Reach, the fourth, stand-alone novel in D.B. Jackson's acclaimed Thieftaker series.Boston, 1770: The city is a powder keg as tensions between would-be rebels and loyalist torries approach a breaking point and one man is willing to light the match that sets everything off to ensure that he has his revenge.The presence of the British Regulars has made thieftaking a hard business to be in and the jobs that are available are reserved for Sephira Pryce. Ethan Kaille has to resort to taking on jobs that he would otherwise pass up, namely protecting the shops of Torries from Patriot mobs. But, when one British loyalist takes things too far and accidentally kills a young boy, even Ethan reconsiders his line of work. 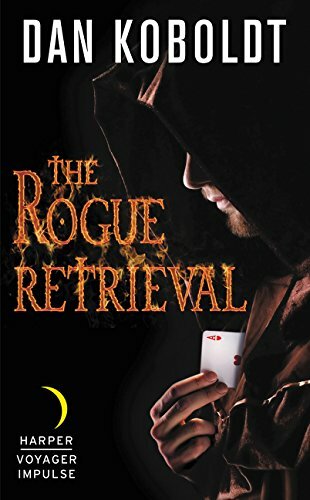 Even more troubling is that instances of violence in the city are increasing, and Ethan often finds himself at the center of the trouble.Once Ethan realizes why he is at the center of all the violence, he finds out that some enemies don't stay buried and will stop at nothing to ruin Ethan's life. Even if that means costing the lives of everyone in Boston, including the people that Ethan loves most. 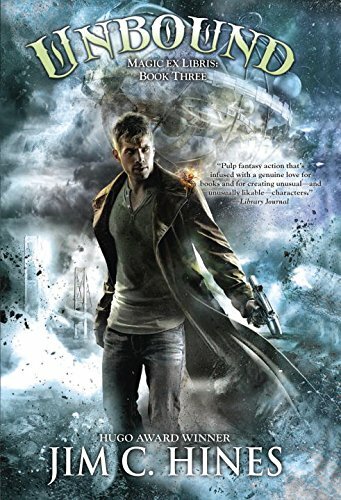 9780765371140, titled "Dead Man's Reach" | Tor Books, July 21, 2015, cover price $28.99 | About this edition: Let the battle for souls begin in Dead Man's Reach, the fourth, stand-alone novel in D.
Alan Campbell has set the new standard for epic fantasy. Now the highly acclaimed author of Scar Night and Iron Angel returns with a new novel of a mythic struggle between man and angel, demon and god—an Armageddon of survival and annihilation that will play out on the fields of time itself.War, rebellion, betrayal—but the worst is still to come. For in the cataclysm of the battle of the gods, a portal to Hell has been opened, releasing unnatural creatures that were never meant to be and threatening to turn the world into a killing field. And in the middle, caught between warring gods and fallen angels, humanity finds itself pushed to the brink of extinction. 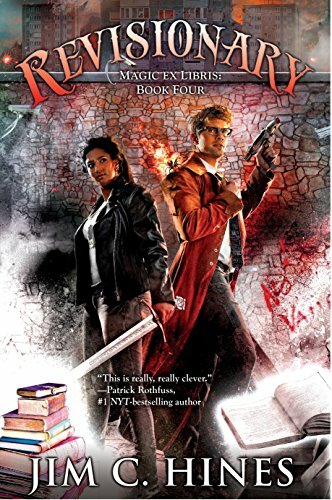 Its only hope is the most unlikely of heroes.Former assassin Rachel Hael has rejoined the blood-magician Mina Greene and her devious little dog, Basilis, on one last desperate mission to save the world from the grip of Hell. 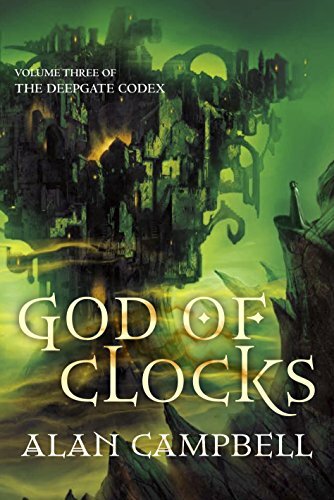 Carried in the jaws of a debased angel, they rush to the final defensive stronghold of the god of time—pursued all the while by the twelve arconites, the great iron-and-bone automatons controlled by King Menoa, the Lord of the Maze. Meanwhile, in the other direction, the giant John Anchor, still harnessed to his master’s skyship, descends into Hell itself to meet Menoa on his own ground. But neither Heaven nor Hell is anything they could ever expect. Now old enemies and new allies join a battle whose outcome could be the end of them all. Rachel’s ally, the god Hasp, finds himself in the grip of a parasite and struggles against conflicting orders to destroy his own friends; and a dangerous infant deity comprised of countless broken souls threatens to overcome them all. As Rachel travels to the final confrontation she has both sought and feared, she begins to realize that time itself is unraveling. And so she must prepare herself for a sacrifice that may claim her heart, her life, her soul—and even then it may not be enough. 9780553384185 | 1 edition (Spectra, April 14, 2009), cover price $25.00 | About this edition: Alan Campbell has set the new standard for epic fantasy. 9780553589337 | Spectra, June 22, 2010, cover price $7.99 | About this edition: In the cataclysm of the battle of the gods, a portal to Hell has been opened, releasing legions of unnatural creatures that have pushed humanity to the edge of extinction. 9780330444781 | Pan Macmillan, May 7, 2010, cover price $15.20 | About this edition: In the cataclysm of the battle of the gods, a portal to Hell has been opened, releasing legions of unnatural creatures that have pushed humanity to the edge of extinction. 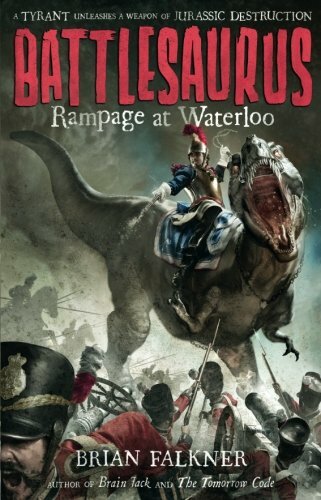 9781492603351 | Sourcebooks Jabberwocky, June 2, 2015, cover price $15.99 | About this edition: "Action-packed and fast-paced. 9781492631835 | Sourcebooks Jabberwocky, June 7, 2016, cover price $7.99 | About this edition: "Action-packed and fast-paced. 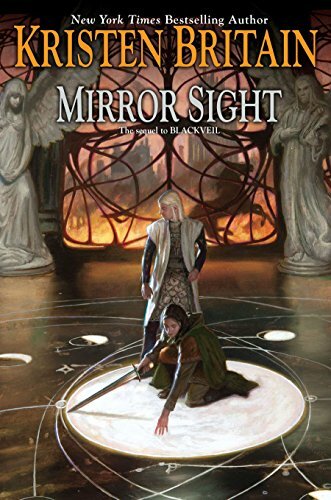 9780756409845 | Daw Books, April 5, 2016, cover price $8.99 | About this edition: Magic, danger, and adventure abound for messenger Karigan G'ladheon in author Kristen Britain's New York Times-bestselling Green Rider fantasy series • "First-rate fantasy. 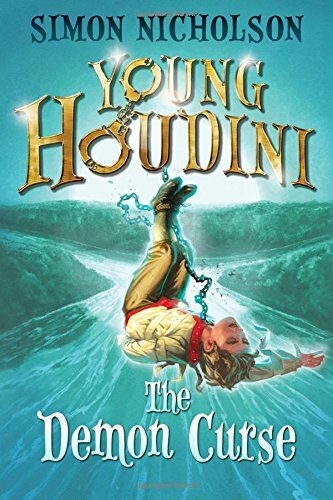 9780756410360 | Reprint edition (Daw Books, May 5, 2015), cover price $16.00 | About this edition: Magic, danger, and adventure abound for messenger Karigan G'ladheon in the fourth book in Kristen Britain's New York Times-bestselling Green Rider fantasy series • "First-rate fantasy. 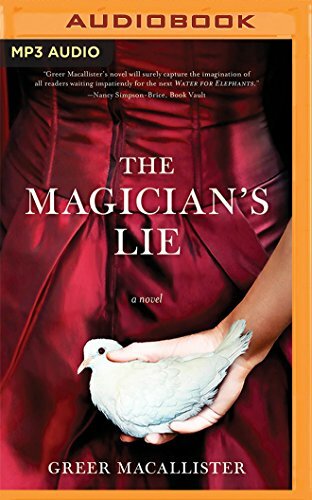 9780575099685 | Orion Pub Co, May 15, 2014, cover price $27.70 | About this edition: Magic, danger, and adventure abound for messenger Karigan G'ladheon in author Kristen Britain'sÂ New York Times-bestselling Green Rider fantasy seriesÂ â¢ "First-rate fantasy. 9780391034648, titled "The Wisdom of Buddhism" | Reprint edition (Univ of Hawaii Pr, January 1, 1987), cover price $17.50 | also contains The Wisdom of Buddhism | About this edition: A balanced selection from Buddhist writings, including scriptures used by the Zen School, with chapters on the Buddha, Tibetan Buddhism, Concentration and Meditation, the Buddhist Order, and Nirvana. 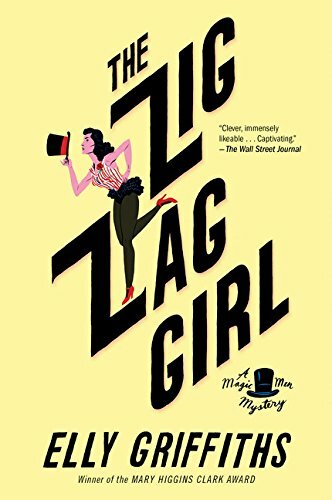 9780544527959 | Houghton Mifflin, October 18, 2016, cover price $25.00 | About this edition: In the sequel to the "captivating"* Zig Zag Girl, DI Edgar Stephens and the magician Max Mephisto hunt for a killer after two children are murdered in a tragic tableau of a very grim fairy tale. 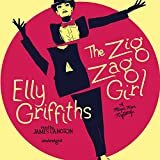 9781504712439 | Unabridged edition (Blackstone Audio Inc, September 20, 2016), cover price $34.95 | About this edition: Chilling murder in the world of 1950s theater -- another case for Detective Inspector Stephens and Max Mephisto. 9781504712422 | Mp3 una edition (Blackstone Audio Inc, September 20, 2016), cover price $29.95 | About this edition: Chilling murder in the world of 1950s theater -- another case for Detective Inspector Stephens and Max Mephisto. 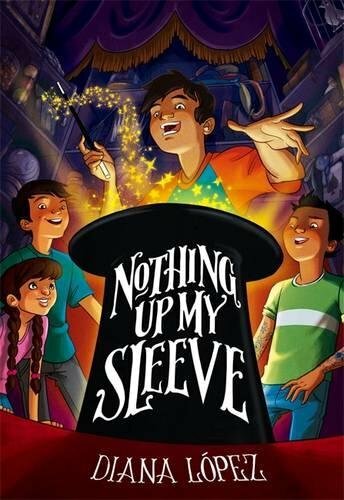 9780316340878 | Little Brown & Co, April 19, 2016, cover price $16.99 | About this edition: From beloved author Diana López comes an exciting middle grade story about three friends, a magic competition, and how far they'll go to succeed. 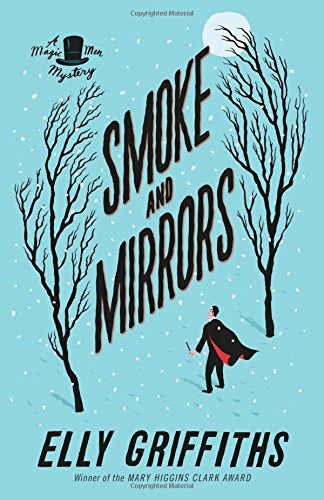 9781481427746 | Simon & Schuster, June 16, 2015, cover price $25.99 | About this edition: Contemporary fantasy meets true crime when schools of ancient sorcery go up against the art of the long con in this stunningly entertaining debut fantasy novel. 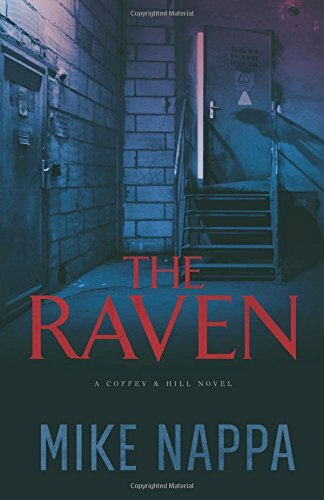 9781481427753 | Reprint edition (Saga Pr, April 5, 2016), cover price $15.99 | About this edition: Contemporary fantasy meets true crime when schools of ancient sorcery go up against the art of the long con in this stunningly entertaining debut fantasy novel. 9780544706262 | Houghton Mifflin, April 5, 2016, cover price $25.00 | About this edition: The first publication of a previously unknown work of fantasy by J. 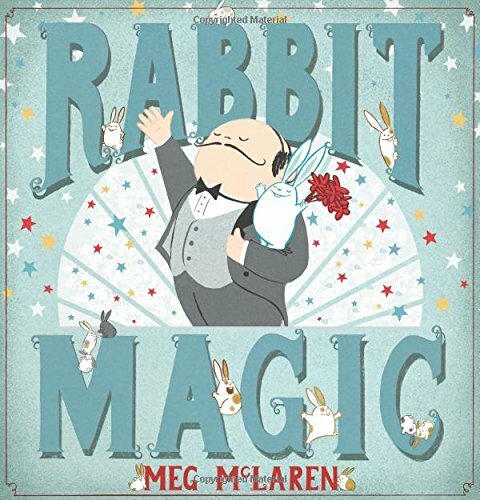 9780881465662 | Mercer Univ Pr, March 1, 2016, cover price $24.00 | About this edition: When Arthur Benjamin steps from a Greyhound bus in Savannah, Georgia, he is immediately robbed by an affable street magician named Hamby Cahill. 9780554811468 | Reprint edition (Bibliobazaar, August 31, 2008), cover price $24.99 | also contains Tempest, The Tempest, The Tempest, The Tempest, The Tempest, The Tempest | About this edition: This is a pre-1923 historical reproduction that was curated for quality. 9780554492766 | Large print edition (Bibliobazaar, August 31, 2008), cover price $28.99 | also contains Tempest, The Tempest, The Tempest, The Tempest, The Tempest, The Tempest | About this edition: This is a pre-1923 historical reproduction that was curated for quality. 9780554811390 | Large print edition (Bibliobazaar, August 31, 2008), cover price $28.99 | also contains Tempest, The Tempest, The Tempest, The Tempest, The Tempest, The Tempest | About this edition: This is a pre-1923 historical reproduction that was curated for quality. 9780554544342 | Reprint edition (Bibliobazaar, August 30, 2008), cover price $26.99 | also contains Tempest, The Tempest, The Tempest, The Tempest, The Tempest, The Tempest | About this edition: This is a pre-1923 historical reproduction that was curated for quality. 9780554544250 | Large print edition (Bibliobazaar, August 30, 2008), cover price $30.99 | also contains Tempest, The Tempest, The Tempest, The Tempest, The Tempest, The Tempest | About this edition: This is a pre-1923 historical reproduction that was curated for quality. 9781519715241 | Createspace Independent Pub, December 6, 2015, cover price $5.99 | also contains Tempest, The Tempest, The Tempest, The Tempest, The Tempest, The Tempest, The Tempest, The Tempest | About this edition: William Shakespeare is almost universally considered the English language's most famous and greatest writer. 9781519594303 | Createspace Independent Pub, November 29, 2015, cover price $7.00 | also contains Tempest, The Tempest, The Tempest, The Tempest, The Tempest, The Tempest, The Tempest, The Tempest | About this edition: The Tempest is a play by William Shakespeare, believed to have been written in 1610â11, and thought by many critics to be the last play that Shakespeare wrote alone. 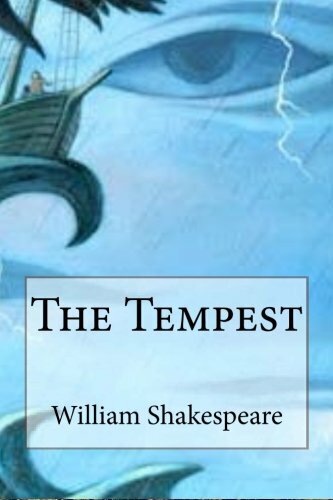 9781517506346 | Createspace Independent Pub, September 25, 2015, cover price $9.99 | also contains Tempest, The Tempest, The Tempest, The Tempest, The Tempest, The Tempest, The Tempest, The Tempest | About this edition: The Tempest is a comedy written by William Shakespeare. 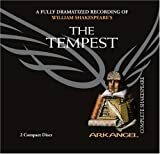 9781481530729 | Mp3 edition (Blackstone Audio Inc, April 1, 2015), cover price $19.95 | also contains Tempest, The Tempest, The Tempest, The Tempest, The Tempest, The Tempest, The Tempest, The Tempest | About this edition: Blackstone Audio is proud to present the Oregon Shakespeare Festival's 2014 production of The Tempest, Shakespeare's magical romantic comedy, directed by Tony Taccone. 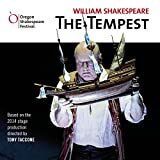 9781481530736 | Blackstone Audio Inc, April 1, 2015, cover price $24.95 | also contains Tempest, The Tempest, The Tempest, The Tempest, The Tempest, The Tempest, The Tempest, The Tempest | About this edition: Blackstone Audio is proud to present the Oregon Shakespeare Festival's 2014 production of The Tempest, Shakespeare's magical romantic comedy, directed by Tony Taccone. 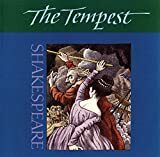 9780606034845 | Demco Media, July 1, 1985, cover price $15.60 | also contains Tempest, The Tempest, The Tempest | About this edition: Presents the original text of Shakespeare's play side by side with a modern version, discusses the author and the theater of his time, and provides quizzes and other study activities. 9781417633500 | Turtleback Books, October 1, 2003, cover price $19.60 | also contains Tempest, The Tempest, The Tempest, The Tempest | About this edition: FOR USE IN SCHOOLS AND LIBRARIES ONLY. 9781932219326 | Unabridged edition (Blackstone Audio Inc, November 9, 2005), cover price $19.95 | About this edition: [Full-Cast Audio Theater Dramatization. 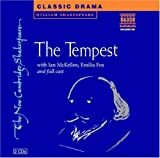 9780521603850 | Cambridge Univ Pr, January 10, 2005, cover price $29.99 | About this edition: A professional cast has recorded the complete, unabridged New Cambridge Shakespeare text of The Tempest, with sound effects and accompanying music. 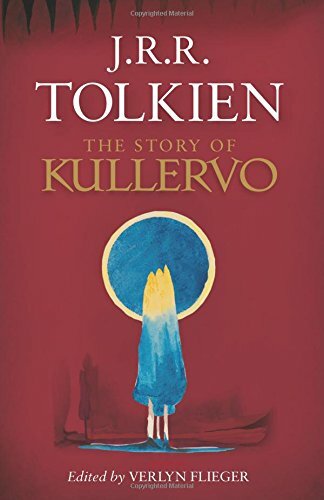 9789626348086 | Naxos Audio Books, November 30, 2004, cover price $13.98 | About this edition: Sir Ian McKellen, fresh from his performance as Gandalf in Lord of the Rings is Prospero, and heads a strong cast in Shakespeare's last great play. 9781932219722 | Unabridged edition (Audio Partners, September 1, 2004), cover price $17.95 | About this edition: Presents a full-cast dramatization of Shakespeare's tale of magic, revenge, spirits, and romance on a mysterious island. 9780886465353 | Unabridged edition (Dh Audio, July 1, 1999), cover price $16.99 | About this edition: Why buy our paperbacks? 9780613527316 | Turtleback Books, August 1, 2002, cover price $19.65 | About this edition: Presents the original text of Shakespeare's play side by side with a modern version, with discussion questions, role-playing scenarios, and other study activities. 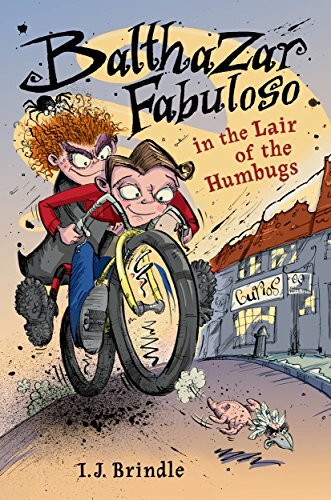 9780823435777 | Holiday House, April 10, 2016, cover price $16.95 | About this edition: Balthazar Fabulosoâs lovable and eccentric family performs a magic show. 9780062451910 | Harper Voyager, March 1, 2016, cover price $6.99 | About this edition: In the tradition of Terry Brooks' Landover series, Piers Anthony Xanth books, and Terry Pratchett's Discword novels, scientist and blogger Dan Koboldt weaves wonder, humor, and heart into his debut novel, The Rogue Retrieval. 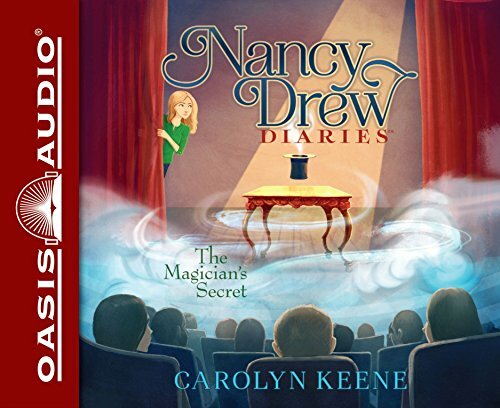 9781511375535 | Mp3 una edition (Brilliance Audio, February 23, 2016), cover price $12.99 | About this edition: Water for Elephants meets The Night Circus in The Magician's Lie, a debut novel in which the country's most notorious female illusionist stands accused of her husband's murderâand she has only one night to convince a small-town policeman of her innocence. 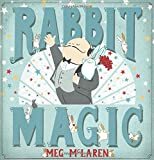 9781491585245 | Unabridged edition (Brilliance Audio, October 6, 2015), cover price $14.99 | About this edition: Water for Elephants meets The Night Circus in The Magician's Lie, a debut novel in which the country's most notorious female illusionist stands accused of her husband's murderâand she has only one night to convince a small-town policeman of her innocence. 9781631080623 | Unabridged edition (Oasis Audio, January 12, 2016), cover price $16.99 | About this edition: Dear Diary. 9781613757291 | Unabridged edition (Oasis Audio, January 5, 2016), cover price $9.99 | About this edition: Dear Diary. 9780756409685 | Daw Books, January 6, 2015, cover price $24.95 | About this edition: Hugo winner Jim C.
9780756409692 | Reprint edition (Daw Books, January 5, 2016), cover price $7.99 | About this edition: Hugo winner Jim C.